What about a personalized practice ? Within a newly renovated studio, conceived and crafted for your wellness, Sopilates provides a personalized practice of Pilates and Stretching classes adapted to your physical condition and objectives. Under the attentive glance of your coach in private or semi-private class, you will be sure to correctly carry out movements for faster and durable progress. Optimize every class, for any fitness level. Whether you are athletic or wish to start physical-activity, thanks to specific exercises adapted to your physical condition and tailored to your objectives, I will adapt to you maintaining steady progress throughout. To be at the listening of your body and your needs. Together, we can work with you to achieve maximum, tailored results, whatever you need. Physical activity has always been a significant part of my life. As a source of energy for both the body and mind, it is essential to creating happiness and balance. The discovery of the Pilates method was a revelation in my life as it provided me a deep sense of wellness and personal blooming. 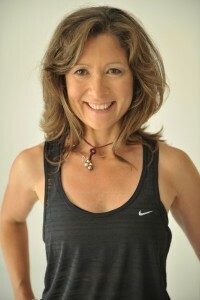 I then decided to make Pilates my profession to share my passion and discoveries with others. Naturally after having this revelation, I reorientated myself away from a career in the commercial sector and towards health and wellness. With Pilates as my method, I emmersed myself in the study of the practice with always the same goal: to accompany the form and wellness with the will to do good for others. To take care of people create a deep feeling of purpose that became heavily anchored in me and give sense to my life. My personal practice allowed me to integrate the Pilates training of Aix en Provence with Sonia Herreria, to then successfully pass examinations and validate my certification level 5 of the school Romana’s Pilates of New York, authentic method. A few years later, the will to improve and enrich my Pilates training, lead me to the United States training, under the benevolent eye of Martt Lawrence in the “Pilates Center of San Francisco”. Always in search of answers and eager to widen my competences, I decided to prepare BP JEPPS AGFF (professional Patent of the gymnastic activities of the form and the force) in order to further my knowledge in anatomy and physiology, essential to the analysis and comprehension of the movement. The wealth of this education enabled me to enrich my approach of Pilates, thanks to a better analysis and comprehension of all that can interfere, but also optimize and improve the physical training. Having worked as an independent in studios of the area it created a natural desire to create a studio of my own in agreement to my values. Sopilates studio is the result of a professional and personal adventure of wellness, self discovery, healing, balance in conjunction with the physical form ; A place where I can share my passion with you.